Welcome to the digital interactive version of the Right Decisions Right Now: Be Tobacco Free Program! We are delighted to present you with informative interactive activities for your classroom. Also, don’t forget to check out the separate SMART Board activities designed just for use with SMART technology! 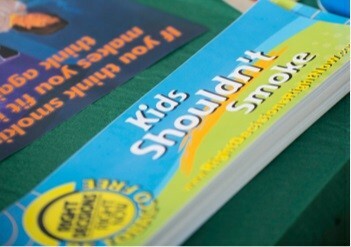 The Right Decisions Right Now: Be Tobacco Free program was tested nationally and found to be successful on two key measures: (1) recent smoking levels decreased significantly in test schools, particularly for grades 8–9, and (2) the program lowered anticipated tobacco use among middle school-age students. In addition, students’ susceptibility to peer pressure and their perception of the popularity of tobacco-using peers both showed significant declines versus control groups. With the interactive and SMART Board activities, you can more easily integrate the Right Decisions Right Now: Be Tobacco Free program into your classroom curriculum and create an enhanced learning experience for students. Find out what you think and know about tobacco, and learn more about its health consequences so you can make the decision to be tobacco free! Are you sometimes concerned about fitting in and being accepted? Find out how to deal with issues like peer pressure and influence while making healthy decisions, like the choice to be tobacco free. Do you know how many students your age use tobacco? These activities will answer this question and give you additional health information and decision-making skills that will help you be tobacco free. The print version of the kit contains the same contents as the digital version, but in some cases wording and presentation differ to better suit the method of delivering the program information.